Treat yourself to a refreshing splash of color and creativity during a series of introductory painting sessions. equipment are supplied but you are also encouraged to bring your own. 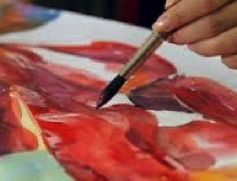 This course is designed for beginning and/or intermediate level students who wish to explore watercolor fundamentals. 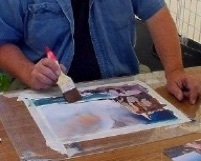 Demonstrations and step-by-step instruction will guide participants though an array of watercolor techniques such as dry brush and wet-on-wet to create hard and soft edges. Students will learn how to control color value and the role it plays in modeling three-dimensional forms and illusions. They will also be introduced to color and design principles and explore a variety of abstract and non-traditional techniques and approaches, as well.